Congratulations to 13 year old RCTFC athlete Kairo Chiang for accomplishments in his 2018 season, in particular for his successes in pole vault and triple jump! 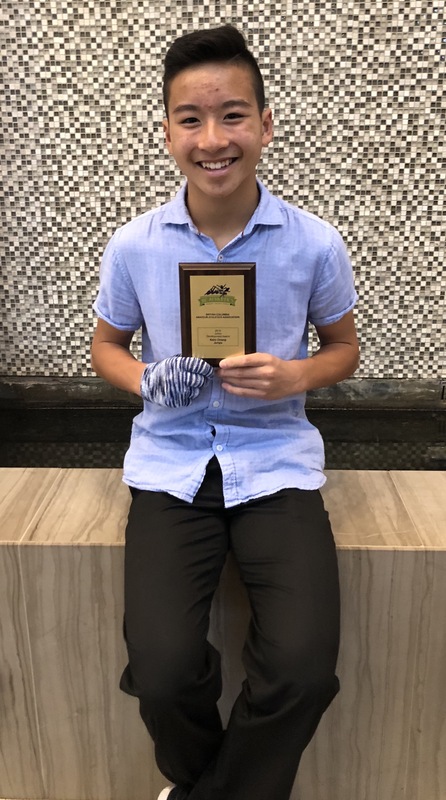 Chiang was recognized at the BC Athletics JD Awards Banquet on Sunday, October 28th for outstanding accomplishments in both of these events in 2018 by meeting the BC Athletics Award Standard criteria for his age-group! Chiang accomplished 2.40m in pole vault and 10.81m in triple jump during his season.